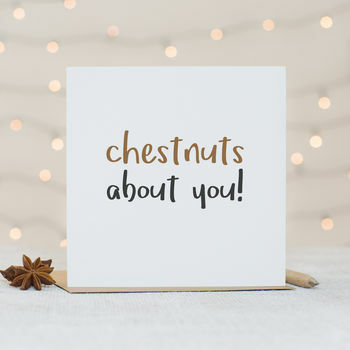 This sweet and funny festive card is the perfect way to send your love and festive wishes to someone you are head over heels and nuts about this Christmas. 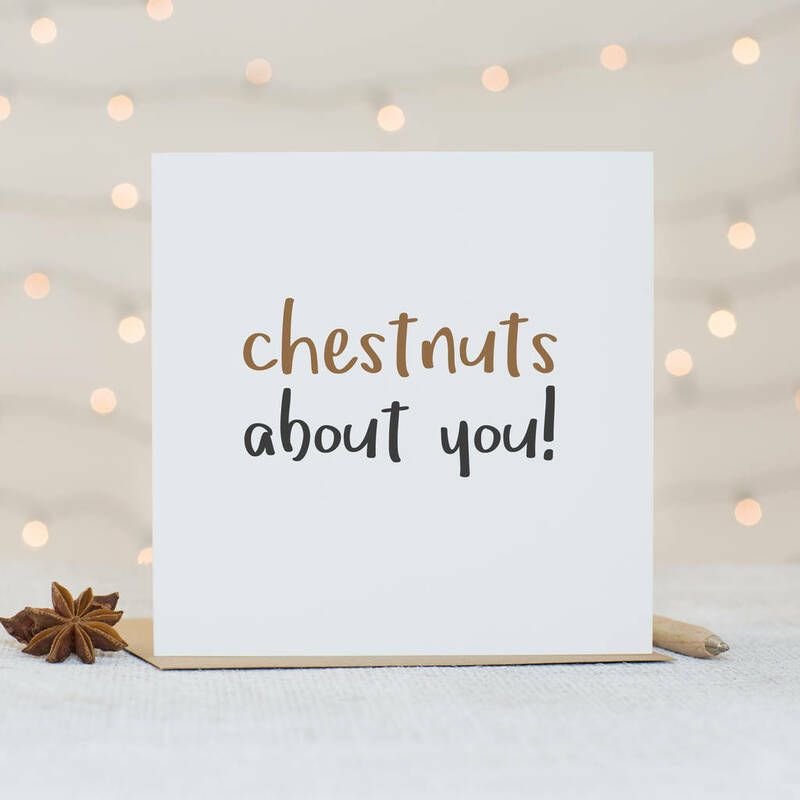 All our cards are left blank inside so you can write your own lovely message, just make sure you put something festively romantic! We use matt bright white 300gsm card and supply our cards with a brown recycled paper envelope. The card and envelope are packaged in a clear poly bag to keep them safe and clean.